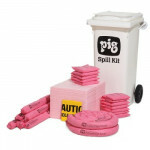 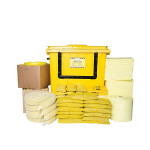 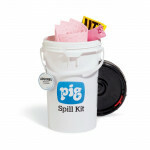 To clean up spills of acids, caustics, and unknown liquids, choose a PIG HAZ-MAT Spill Kit. 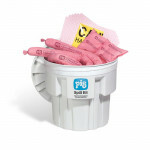 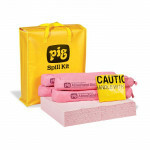 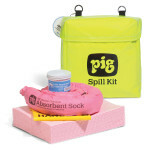 Packaged for quick response and filled with quality PIG Absorbents, HAZ-MAT spill kits from New Pig help your customers safely and quickly respond to unwanted chemical spills. 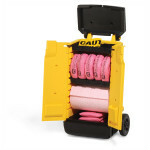 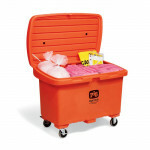 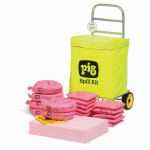 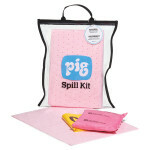 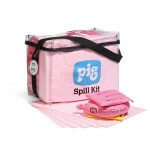 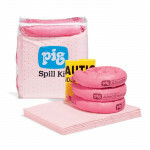 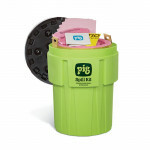 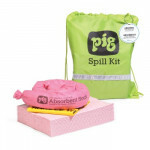 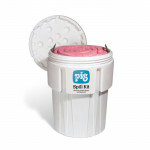 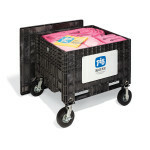 Colour coded pink to alert workers to a dangerous spill, PIG Chemical Spill Kits can tackle spills of up to 287 L.